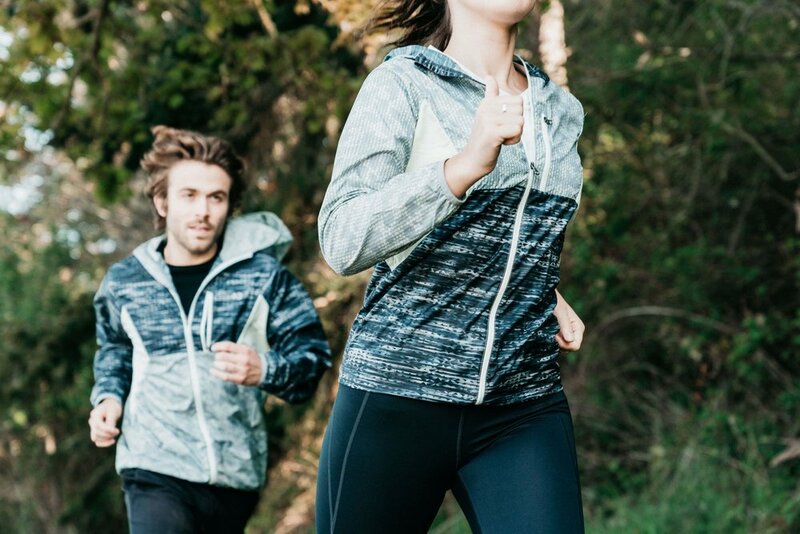 Men’s and Women’s GoLite ReGreen Windshell is designed with movement in mind. What started as 20 green plastic bottles is now an award-winning jacket. The GoLite ReGreen Windshell was the winner of a Backpacker® Editors ' Choice Green Award and an Outdoor Industry Innovation Award for sustainability this year. With their relaunch taking place this March, GoLite is changing the way the industry thinks about sustainability in performance clothing. The ReGreen Windshell is unique because it is made from 100% recycled polyester from exclusively green plastic bottles. Recycling green bottles is difficult because of the dye used to color them. Even though people are recycling their green plastic bottles, most of them do not get reused because of the effort it takes to remove the green color. Sounds like a problem, right? GoLite thought so too. They’ve partnered with a recycling organization in Taiwan (Da.Ai) who gather the green bottles out of landfills and the ocean to be re-purposed. In order to reduce water consumption and eliminate the use of hazardous dyes during production, GoLite embraces the green color of the plastic bottles and digitally prints over top of it. GoLite took the sustainability of this piece even further by implementing the use of fluorocarbon-free, biodegradable DWR coating. The innovation and functionality of this piece by GoLite is helping set a new standard for sustainability in our industry and helping to preserve our planet. This high-functioning wind shell is designed to be light on path, and on the planet. Learn how GoLite is converting these post-consumer bottles into clothing.